This is your obligatory ‘Happy New Year’ post. 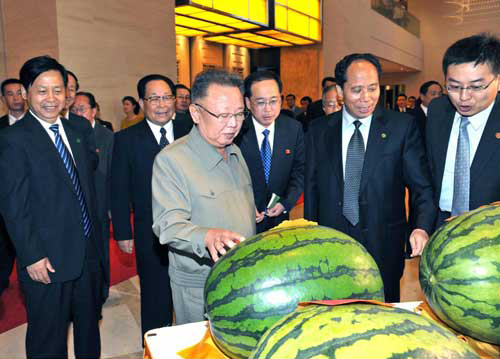 Also, I have finally found a use for ‘Tumblr.’ Today I discovered a Tumblr collection of photographs of the late Kim Jong-il looking at things. These include pictures of the late dear leader looking at plants, food, shops, products, farms, people, etc. The Tumblr site linked above also sells a book.